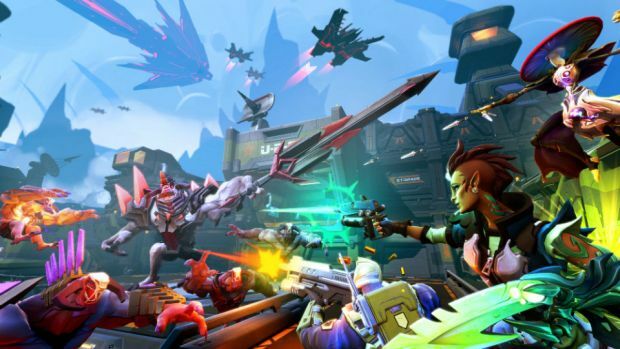 Gearbox Software’s Battleborn will be heading to current gen platforms in May next year but it will have an open beta a few months earlier (arriving on PS4 first). Interestingly, it seems that PlayStation 4 will be receiving an exclusive character in the form of Toby, a penguin piloting a deadly mech. And dear lord is his voice annoying. Check it out below. Toby features a wide assortment of abilities like Arc Mines, which can be shot and exploded; a barrier to take cover behind; and a focused laser for incinerating enemies. But honestly, that voice. You would think nothing could top Claptrap and you’d be wrong. Thankfully, there are a bunch of other characters to choose from. Battleborn is out on May 3rd 2016 for Xbox One, PS4 and PC. What are your thoughts on Toby the annoying penguin? Let us know in the comments below and stay tuned for more information in the coming months along with more updates from PlayStation Experience.